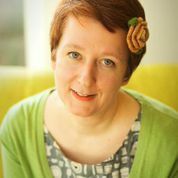 Claire Fuller, author of Our Endless Numbered Days on her ‘book birthday’. A year ago today, my debut novel, Our Endless Numbered Days was published by Fig Tree, an imprint of Penguin. Many things have happened since then which I could never have imagi ned – my book won the 2015 Desmond Elliott Prize for debut fiction, was published in nine territories around the world (with a few more to come), and was selected for both the Waterstones, and Richard & Judy book clubs. But it’s not just the (mostly) great reception that the book has received that has amazed me, but the things I’ve learned along the way – some good, some not so good. Here they are in no particular order. This has to be biggest and best thing that having my novel published has brought me – meeting others who love books. The list of these lovely people is enormous, but includes other writers especially The Prime Writers, The Taverners and the Friday Fictioneers; Book bloggers; Editors and publicists; My literary agent and foreign rights agent; and many many Booksellers. But perhaps most lovely of all are readers. Those who have turned up to events, those who chat about books on Twitter, Instagram and Facebook, and those who have sent me messages. Writers don’t seem to talk publically about this, but I’ve had enough whispered conversations to know everyone feels it: ‘Why is that book being promoted over mine?’ ‘How is that book doing so well?’ ‘Why him? Why her?’ And then we turn to face the crowd, sip our wine and smile. We barely even admit these feelings to ourselves, perhaps with good reason – they’re negative and can easily send us into a downward spiral, but I suspect all writers suffer from them. There’s always going to be writers many rungs above me on the publishing ladder, and sometimes they might have written a book that I think wasn’t very good, didn’t deserve the awards, the shortlisting, the publicity money allocated it. I am learning to switch off self-comparison, but it’s something I have to work at, especially when I see particular books all over social media. But of course I’m certain some writers will be thinking this about me and my book. One way I’ve found that helps overcome it is to talk publically about the books I do love, especially those I think should have won the award, should have been shortlisted, or had more promotion. In the year since Our Endless Numbered Days was published I’ve done nearly seventy events – literary festivals, university talks, book club appearances, and more. And all of them because I wanted to. Before I sat on stage at my first ever event at Cheltenham Literature Festival I didn’t know I could do public speaking, and had no idea I would actually come to enjoy it. Before I my book was published, and I was just a reader, if I thought about it at all, I would have assumed that good books simply get found by readers, and that bestsellers are discovered, not created. The reality isn’t quite so simple. There’s some luck involved, and some passion, but also an awful lot of business. It never occurred to me that books get reviews, get talked about, get promotions, and posters (mine included) because the publisher has chosen to invest in that book. And they’re probably investing in it because they’ve paid quite a lot for it. Putting this under ‘not so good’, perhaps isn’t quite right. Promotion and marketing isn’t a bad thing, I’ve just had my eyes opened to how it works, and why some books get to the top of the pile. In this year I’ve learnt a lot more about what I like about my own writing (I don’t like to do it, I prefer editing), what I like to write about (I keep an on-going list of my favourite things), how I write (better with deadlines). And I’ve learnt the absolute pleasure of doing this for a living. This is a debate that still has a long way to run. Of the nearly seventy events I’ve done in the past year, I was only paid for about five of them. Of course I could have said no – I chose to go, unpaid. I haven’t counted up the exact number of interviews, articles and short stories I’ve written in this year (I reckon it must be about forty), and again the majority were unpaid. It’s promotion, right? Yes, of course, but some of those literary events, newspapers and magazines charge their readers and have decided for commercial reasons not to pay the people who provide the content. There’s no point in writing a book that doesn’t get read. And not all readers are going to like the same book. But a novel is a creative thing that comes from inside the writer, and it’s difficult when something you’ve worked so hard on is criticised without thought. I read all my reviews and I don’t engage. I might, however, shout at the screen a bit, and then go and read a good one. I still haven’t seen someone I don’t know reading my book, but during some hovering in a bookshop (as you do when you’re an author), I did see a stranger pick up a copy, read the back and buy it. It has been a momentous year. Next year please can I have more of the same, and yes, I’m happy to take both the good and the not so good. ← Monster egos and high drama! Thanks Claire. Good luck with the next one!